Had the best time in LA. Really. In probably the most spur-of-the-moment trip I have ever taken (though it was not that SOTM) I decided to road trip with one of my best friends down to LA. She got a job at one of the Big 4 and is going to live a life of sun & love! We stayed overnight in Redding and then drove down south of LA. We stayed with her cousin who was the sweetest & spoiled us. Her house was like a real Anthropologie house and she had a pool in her backyard. IT WAS GREAT. I was only there for two days, so it was a real quick trip! We managed to sneak in LA for a few hours and I fell in love with the Arts District. SO CUTE. I went to go check out the cute little Poketo Bri blogged about earlier (yes, it is THAT cute). And then went to eat at Urth Cafe with new friends, and RANDOMLY ran into one of the few people I know in LA. It was DIVINE GOODNESS. Don't you love when stuff like that happens? I sure do! 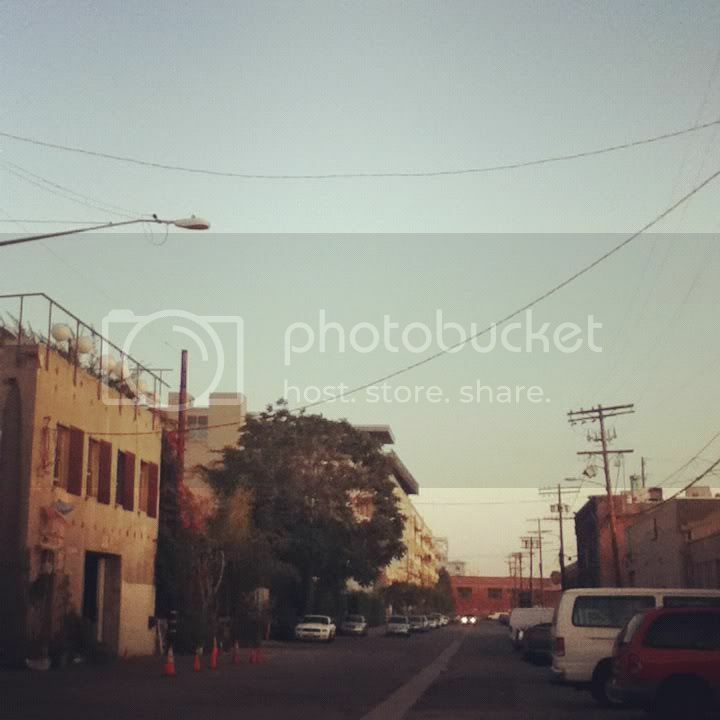 Here is my one and only picture of the Arts District. Full of warehouses and lofts and space. I saw a boy riding a bike through here and I knew that we were meant to be ('we' as in me and the Arts District...). So excited to move there someday in the future and not get stuck in traffic because I will be either on an intense fixie or a cute, little, pink Vespa! I didn't take my SLR down, and lived through Instagram and my Holga! I am developing the film tomorrow...exciting! I will be sure to share that with you soon. Anyways, hope you got some sunshine in the past week. Can you believe it's almost SEPTEMBER? Crazy. Crazy love!